Burt’s Bees just had 2 of their Family Jammies sets named as Oprah’s Favorite Things 2018 so Burt’s Bees is celebrating by offering up 20% off these items with the coupon code OPRAH. 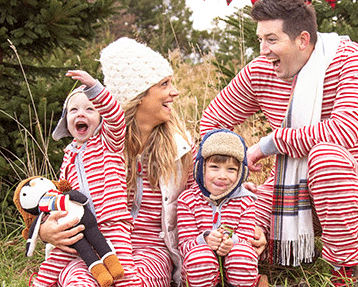 These Family Jammies are so cute for the holidays! 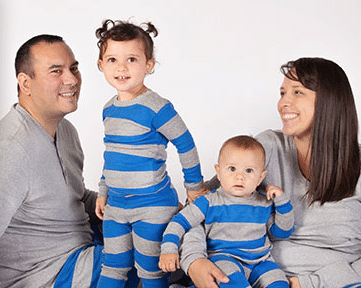 Choose from the Family Matching Jumpbees or Family Rugby Striped Jammies. After the 20% off coupon code OPRAH, prices start as low as $10.36. They even having a matching Dog Bandana so you can include your pup! I love that all Burt’s Bees clothing is made from 100% organic, GOTS certified cotton and contain no harmful chemicals like flame retardants. We own tons of Burt’s Bees clothes and love them!